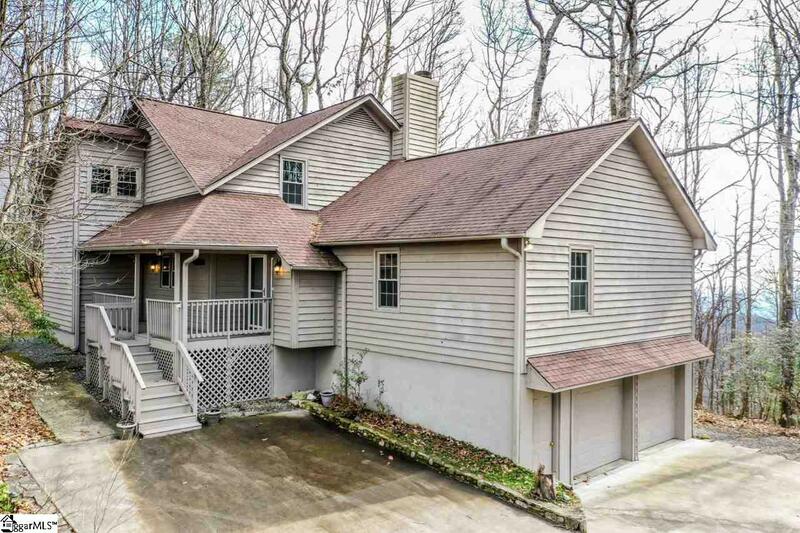 A well maintained mountain retreat full of outstanding features, this home lends itself well to full time or part time living and is nestled atop historic Caesars Head in northern Greenville County. Located inside the the gated community of Cliff Ridge, the home is full of charm and is tucked away on a beautiful wooded lot featuring winter views and partial summer views. 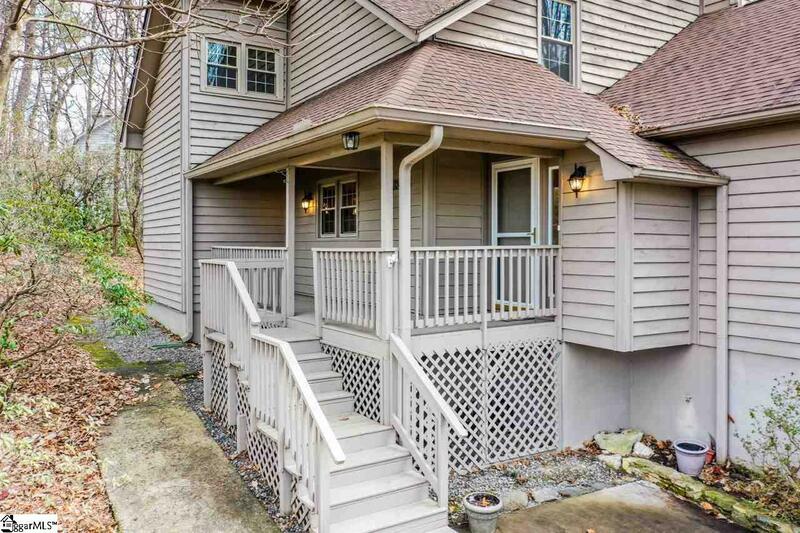 Decking is spacious allowing much enjoyment of the outdoors and the cool summer temperatures. 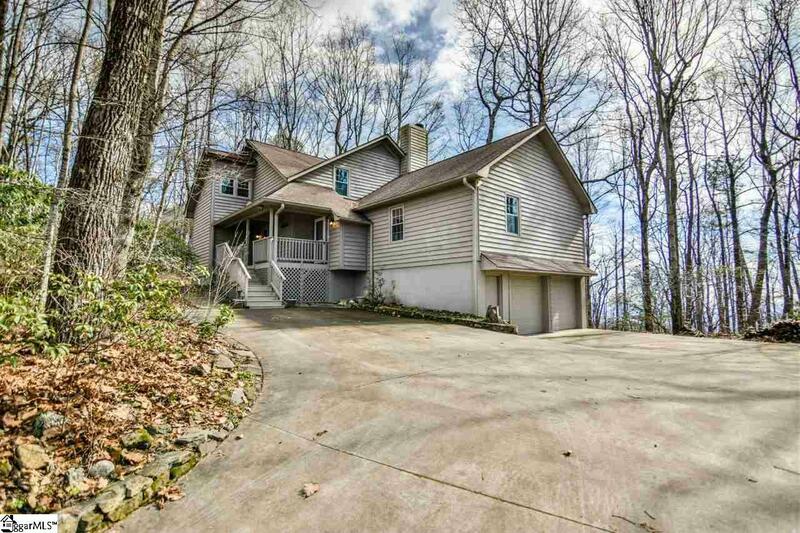 Those who enjoy nature will find the close proximity of State Park property a plus as well as the accessibility of the miles of hiking trails from this home and the Cliff Ridge Community Two master suite possibilities, with one on the main level, make this home a desirable choice. Along with the two master suites, there is an upstairs and a downstairs laundry option . An updated kitchen features granite countertops and updated appliances. The hardwood floors in the first floor living areas will attract your attention as they are in exceptional condition and make this home a stand out. An open floorplan and great room fireplace make entertaining an option and set the stage for an easy living environment. There is a recently installed whole house GENERATOR as well a two car garage making mountain living much more simple. Never worry about power outages or frost on the car windshield. This property has it all. If you have seen it in the past, you better take a SECOND LOOK! Located in walking distance to amenities, enjoy fishing in the stocked lake, swimming pools, tennis courts, playground, and clubhouse. The gated community affords the homeowner added security. Only 3 hrs from Atlanta, 45 min. to downtown Greenville, 50 min. to Clemsons stadium, 45 min. 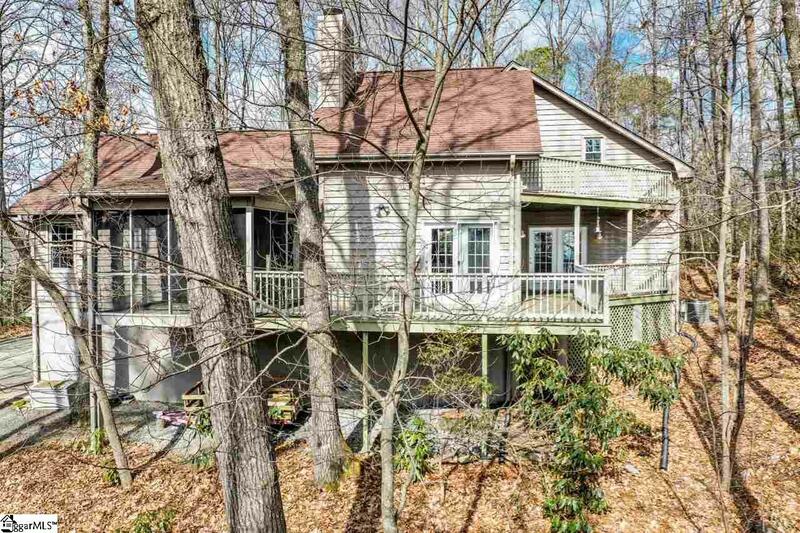 to Ashevilles airport and GSP, this mountain hideaway is conveniently located. A quick 15 minute drive also puts you in the center of Brevard, one of the loveliest small towns in NC. This home is a 'winner'! Listing provided courtesy of Janet Landrum of Flagship Sc Properties, Llc. © 2019 Greater Greenville Association of Realtors Multiple Listing Service. All rights reserved. IDX information is provided exclusively for consumers' personal, non-commercial use and may not be used for any purpose other than to identify prospective properties consumers may be interested in purchasing. Information is deemed reliable but is not guaranteed accurate by the MLS or J. Michael Manley Team. Data last updated 2019-04-23T00:01:21.133.